SAS is partnering with the University of Memphis FedEx Institute of Technology to advance SAS skills in the Mid-South Region. The partnership marks SAS' first public training center located at a university. Courses are delivered by SAS expert instructors in partnership with university faculty at the UofM location. 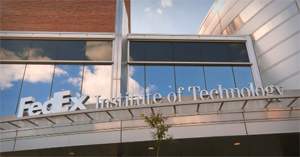 IMPORTANT: You must bring your own laptop to class at FedEx Institute of Technology. Please view the technical specifications and ensure you can access the SAS virtual lab.